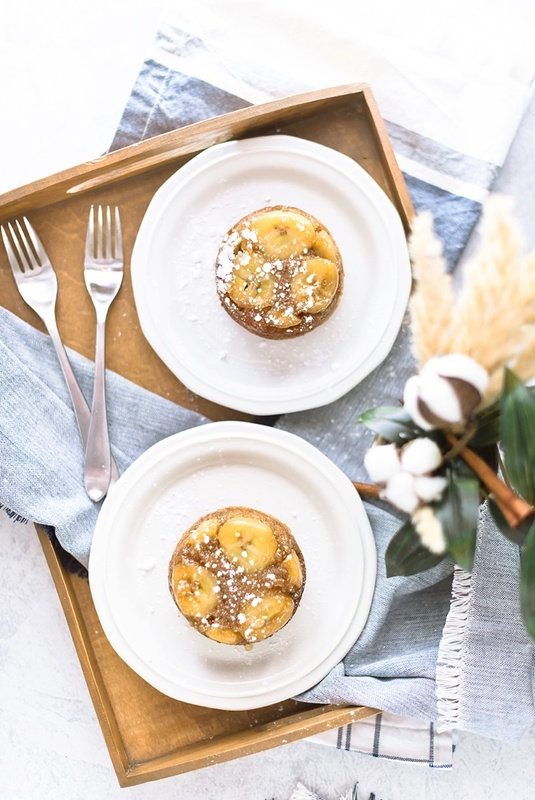 Inspired by sleepy weekends and cozy blankets, this scrumptious banana twist on an upside down favorite will make you roll off your pillow and grab a fork for the most perfect breakfast in bed dessert. 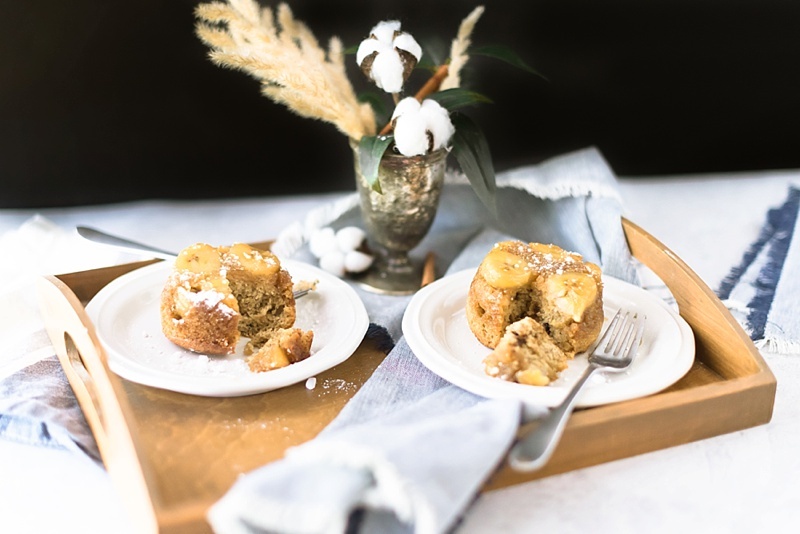 Caramelized bananas are already a win by themselves, but when you pair them with warm softly sweet cake, it's the next best combo since PB&J. So plan ahead and let those bananas on the counter ripen! 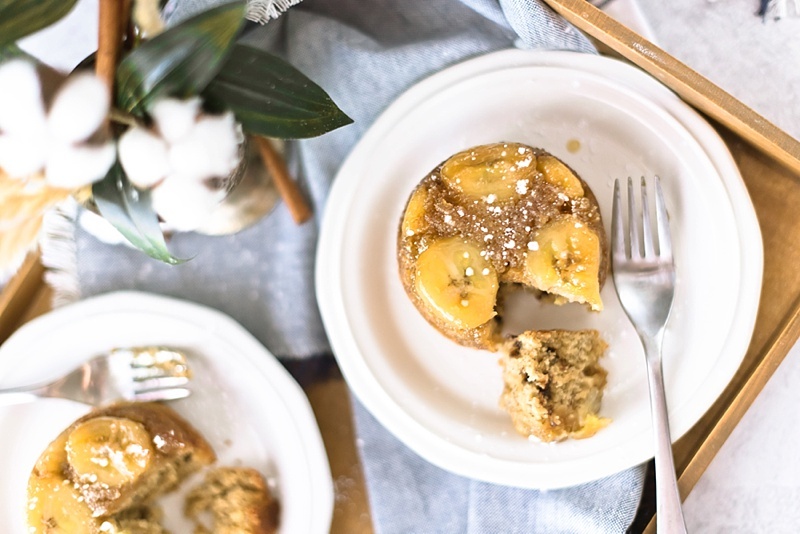 * You will want both ripe and overripe bananas for this recipe. 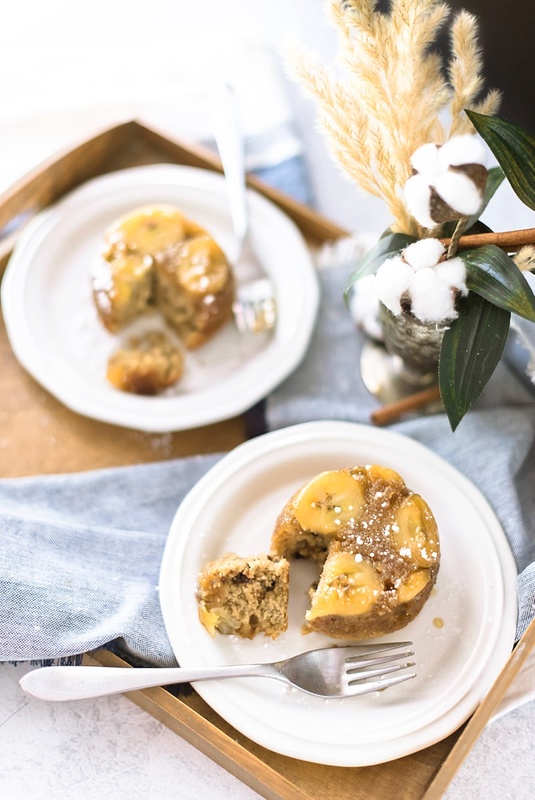 Using just ripe bananas for the base gives a slight firmness and nice aesthetic to the "upside down" part of your cakelets. 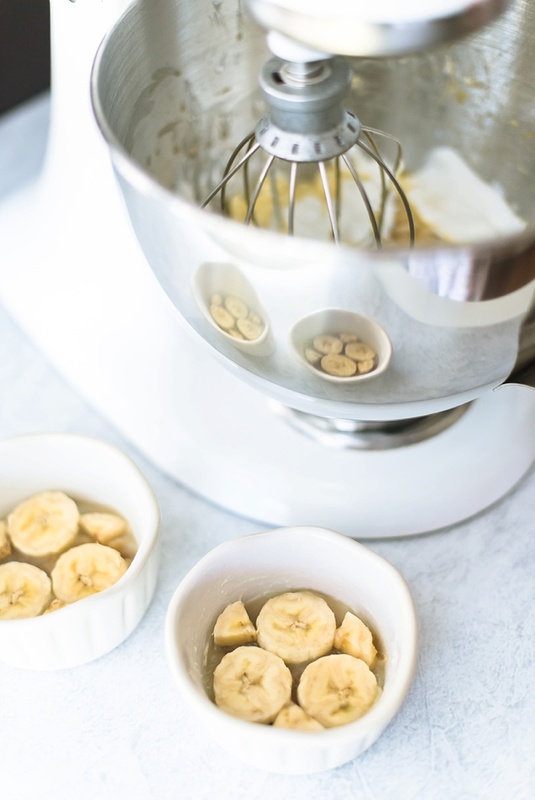 Using overripe bananas for your batter is the right sweetness and softness for taste. 2. Grease your ramekins and additional cake pan with butter. 3. In a small microwave-safe bowl, melt the 4 tablespoons of butter in the microwave in 10-second intervals. 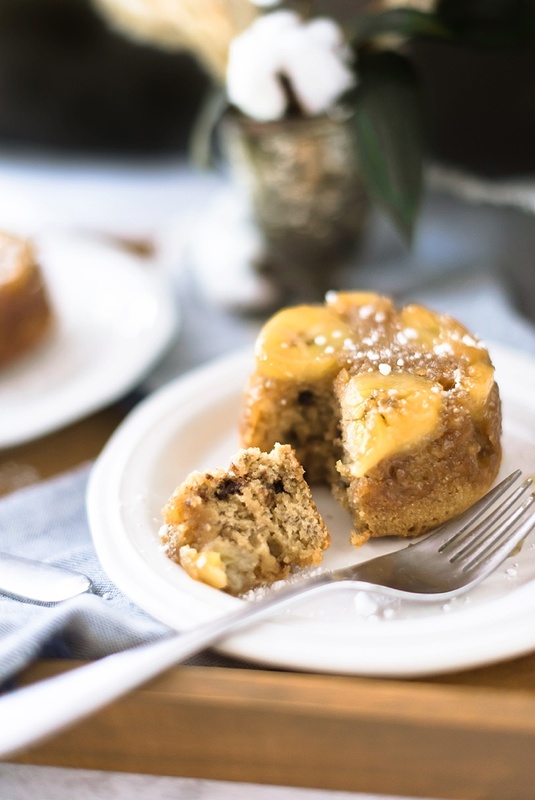 Once melted, stir in the 1/2 cup of brown sugar and then pour the mixture into the bottoms of your ramekins and the extra cake pan. Make sure that your caramelized sugar layer is evenly spread out. 4. 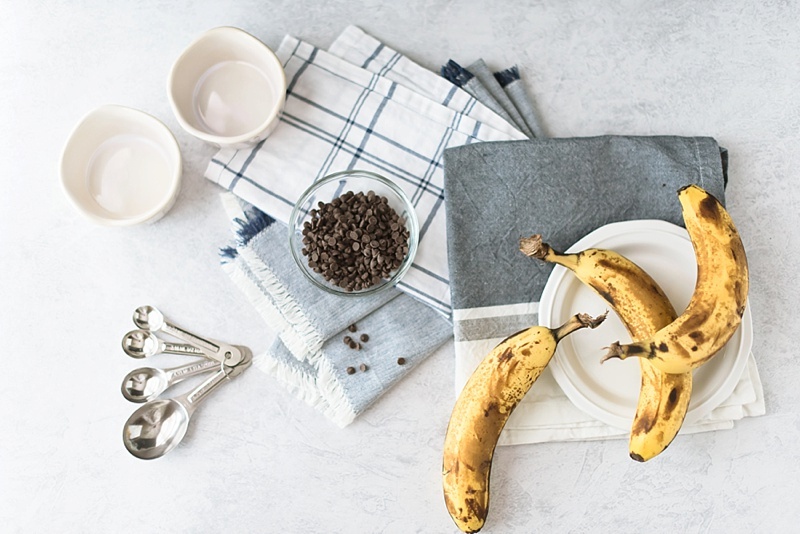 Slice and quarter your ripe bananas. 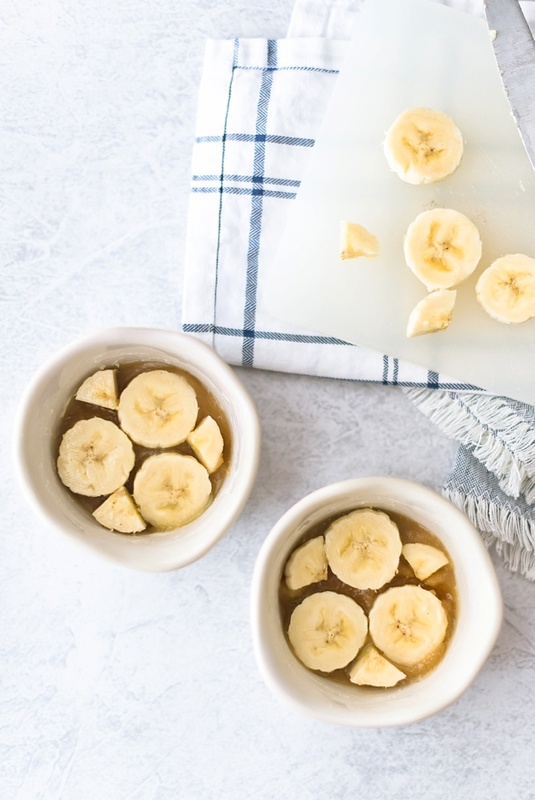 Place these over the buttery sugar mixtures in each ramekin and pan. Set aside and continue to Part Two. 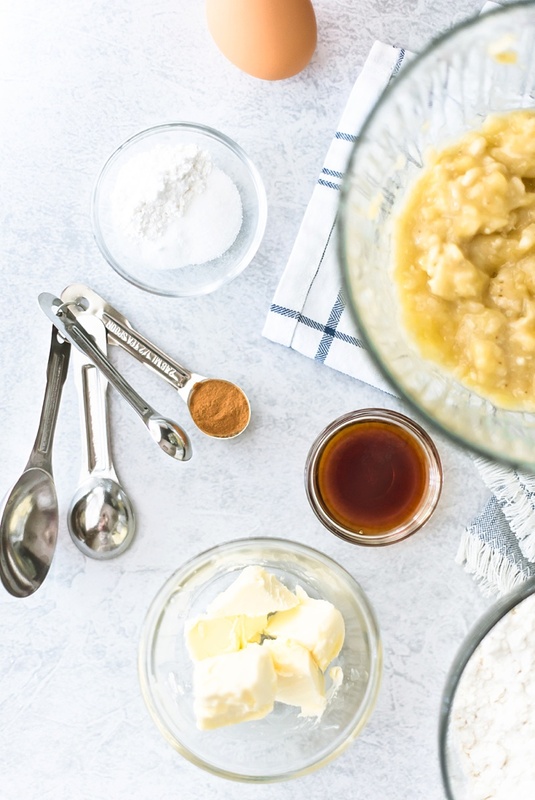 Editor's Note: I use applesauce in all of my baking for healthy and moisture reasons, so I did add one tablespoon of green apple applesauce in place of one tablespoon of butter. 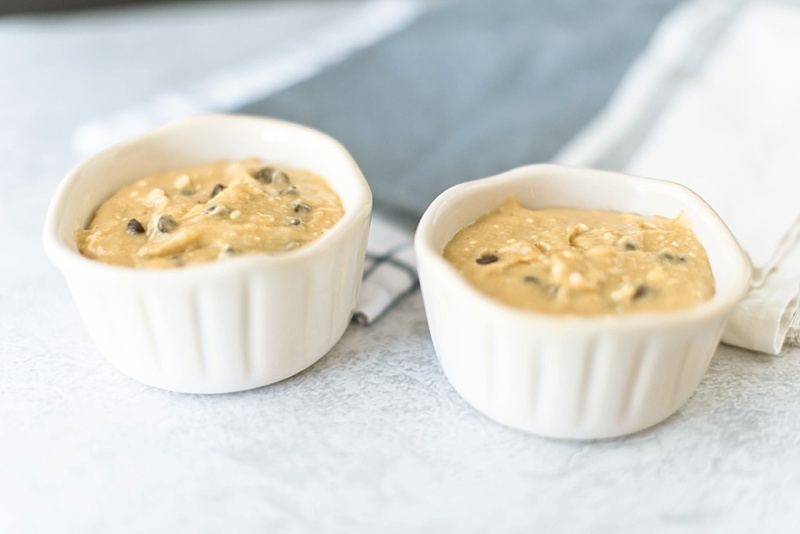 It bakes the same, so if you have some applesauce on hand, try it! 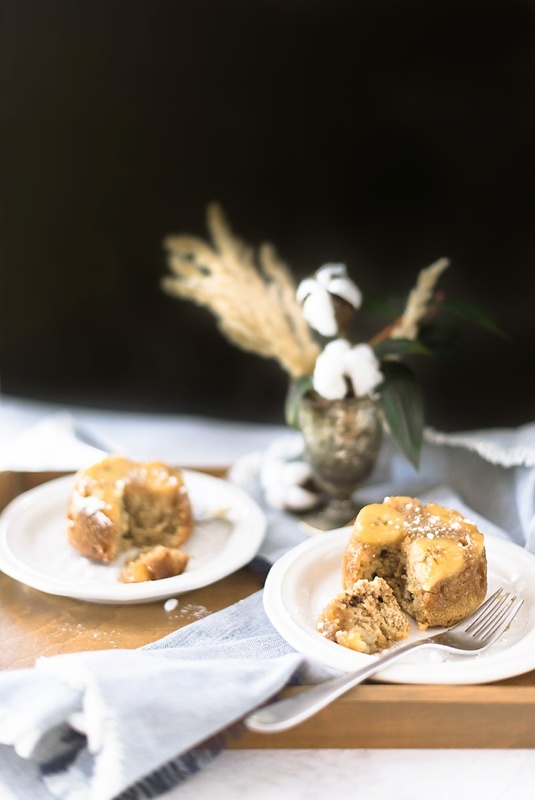 This recipe was written to be gluten-free (since our editor-in-chief has Celiac Disease), but for those who can eat gluten, you can use your regular all-purpose baking flour of your choice. 5. Except the white sugar, whisk together all of the other dry ingredients: flour, baking powder, baking soda, cinnamon, and salt. 6. In a separate large mixing bowl, cream together butter and white sugar with your stand mixer. Add eggs and vanilla; mix. Combine Greek yogurt and mashed bananas and mix entire wet batter. Stir in your mini chocolate chips (optional). 7. Slowly add dry ingredient mixture to the wet batter and mix until completely blended. 8. Pour the batter over your caramelized banana layers in your ramekins and cake pan. Bake for 30 minutes until the toothpick inserted in the center comes out completely clean. 9. 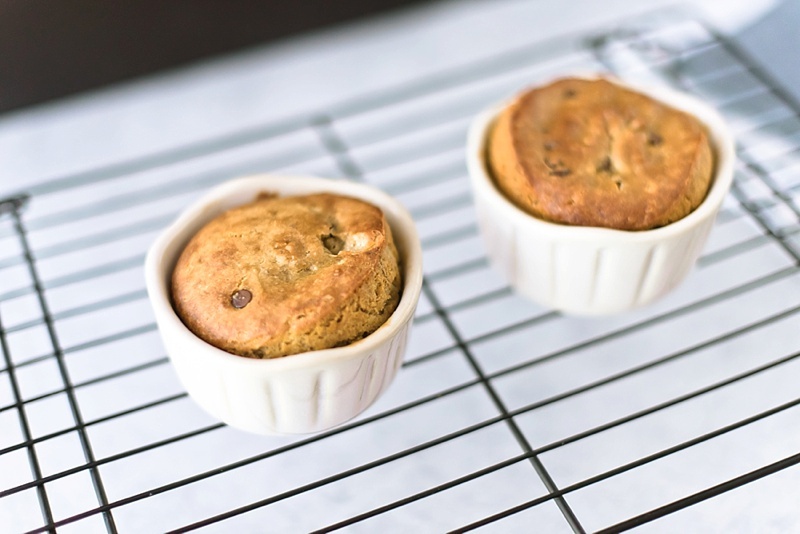 Let cakelets cool in the ramekins completely, or at least until the bottom is barely warm before inverting on your serving plate. Place your serving plates on top of the ramekins, press tightly, and then flip the cakes. Sprinkle powdered/confectioners' sugar on top and serve to your sweetie! If you're a mega caramel lover, melt some caramel bits and drizzle on top right before serving. If you're a nut lover, also consider topping with chopped roasted pecans.